Product Overview The Thermaltake SMART DPS G Bronze Series are smart power supply units that incorporate various high-tech components, leading technology and Eco-friendly commendations, featuring 80 PLUS Bronze certification with a semi-modular that always accommodate any mainstream build under any circumstance. 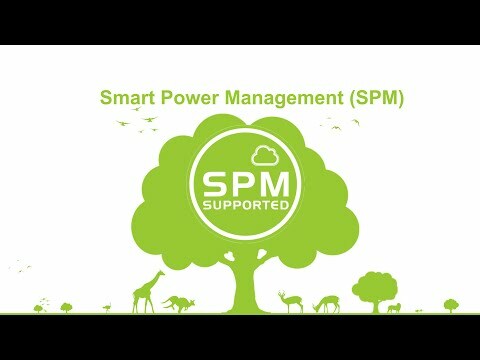 The combination of Smart DPS G Bronze and three intelligent platforms – DPS G PC APP 2.0, DPS G Smart Power Management (SPM) Cloud 1.0, and DPS G Mobile APP 1.0 helps users not just monitor smart power supply units, but also save the energy, reduce CO2 emission, and eventually protect the Earth. Our real-time warning alert will be pushed to DPS G Smart Power Management Cloud 1.0 immediately once the fan fails, PSU temperature is overheated (over 140?/60? ), or voltage (over/under 5% of normal level) operate abnormally. DPS G PC APP 2.0 offers real-time warning alert when the fan speed, temperature (over 140?/60? ), and voltage (over/under 5% of normal level) operate abnormally. Our real-time warning alert will be pushed to your mobile devices immediately once the fan fails, PSU temperature is overheated (over 140?/60? ), or voltage (over/under 5% of normal level) operate abnormally. Smart DPS G Power Supply with DPS G software delivers up to 87% efficiency under real-world load conditions, promising the lowest power losses. Additionally, Smart DPS G Bronze Series has been optimized to work with Intel’s new, fourth-generation Haswell processors to achieve maximum energy savings. Smart DPS G Bronze Series is equipped with a powerful single +12V rail. Features • 80 PLUS Bronze-certified and Haswell-ready. • High Quality Japanese Main Capacitors. • High Current Single +12V Rail.